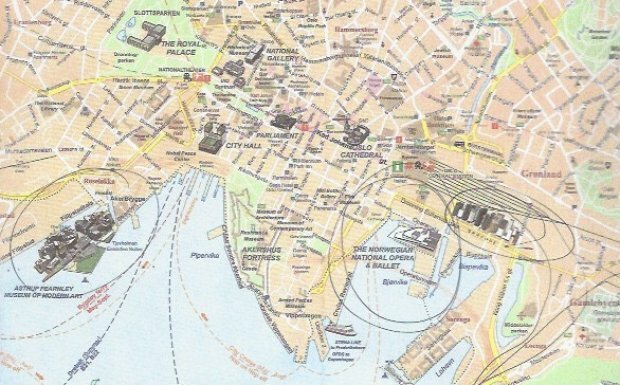 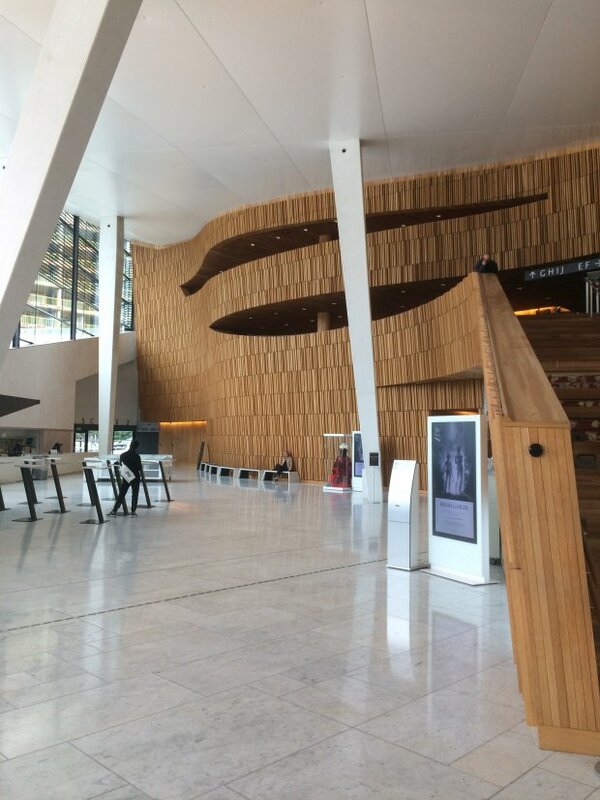 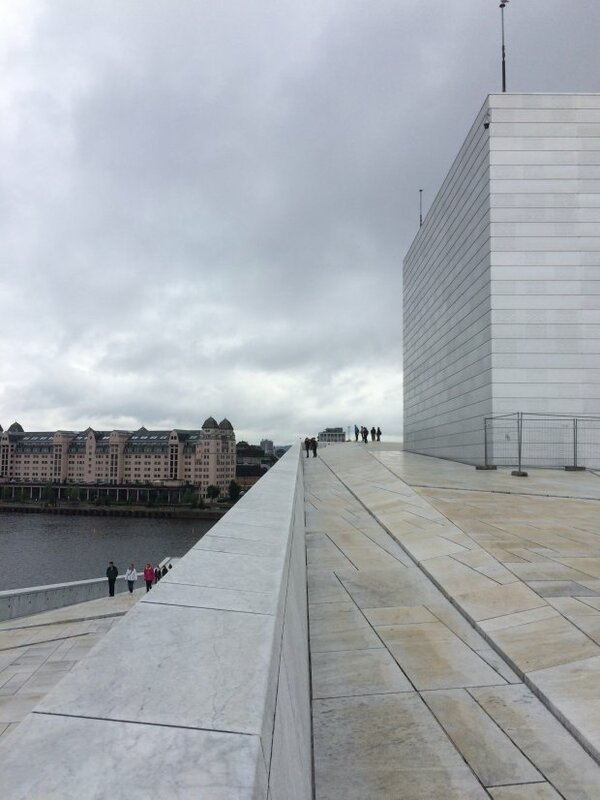 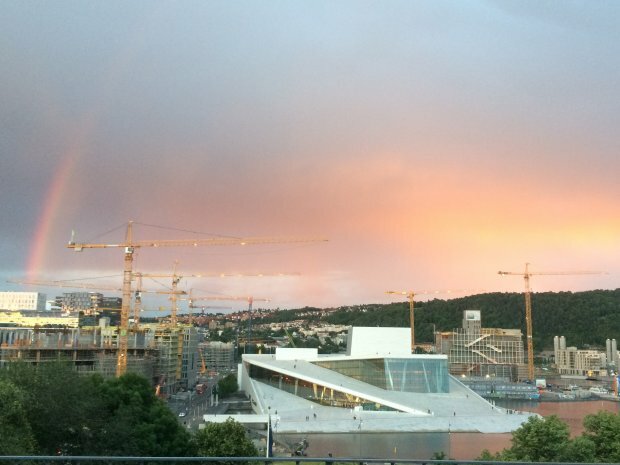 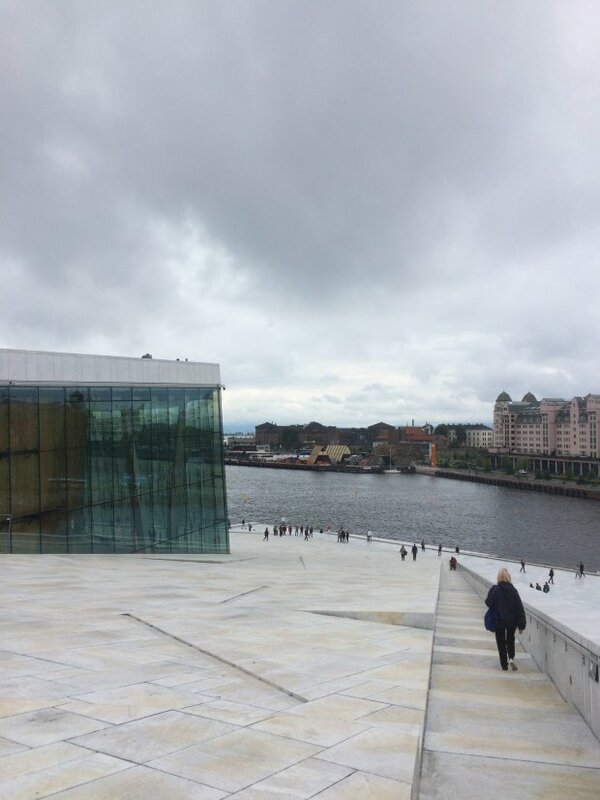 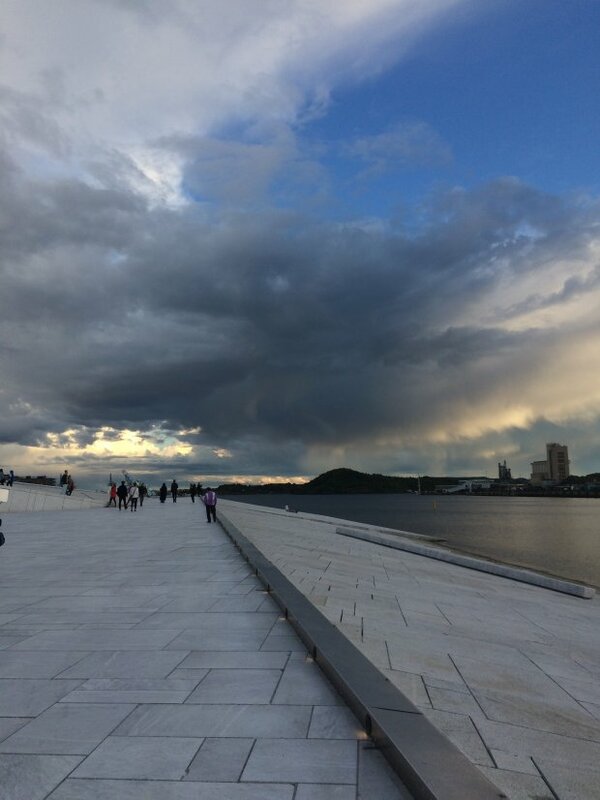 In the first two parts of this brief series about the architecture of Oslo, we looked at the new developments in the Barcode area and around the Renzo Piano-designed Astrup-Fearnley Museum of Modern Art. 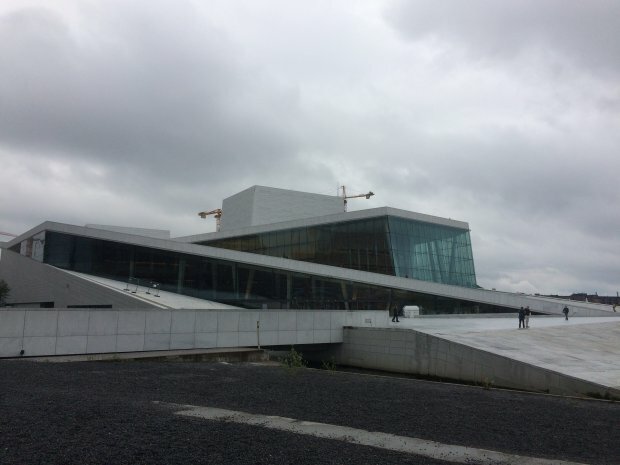 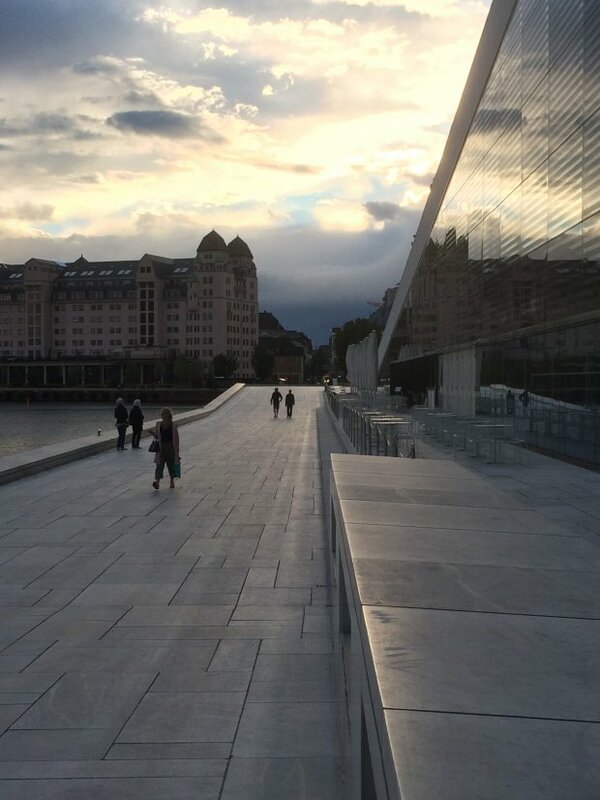 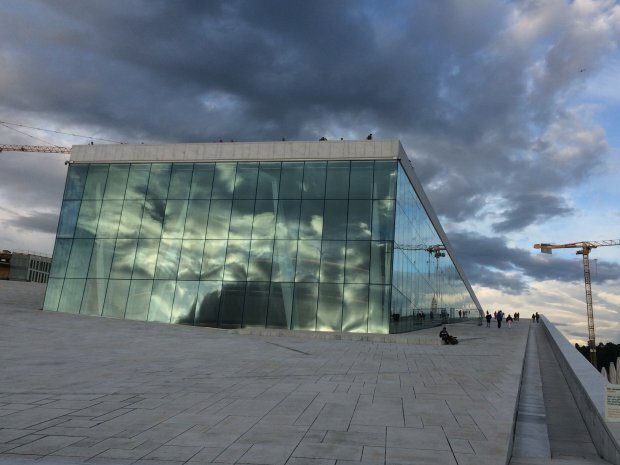 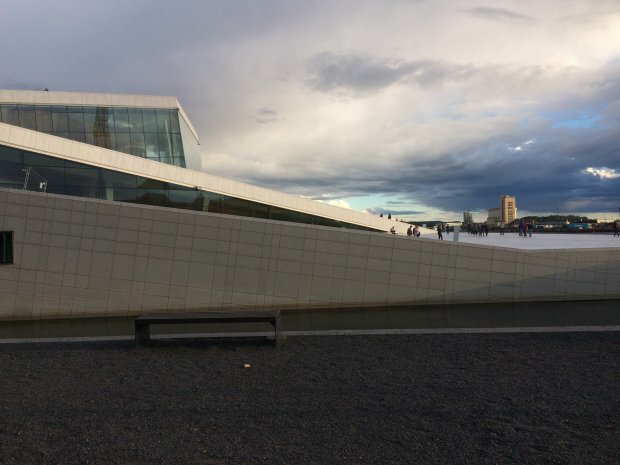 The centrepiece of Oslo's archirtectural regeneration and development however is the undeniably beautiful and strikingly innovative home to the Norwegian Opera and Ballet, a landmark building on the foreshore which has become a public space unlike many other buildings of similar size and intent. 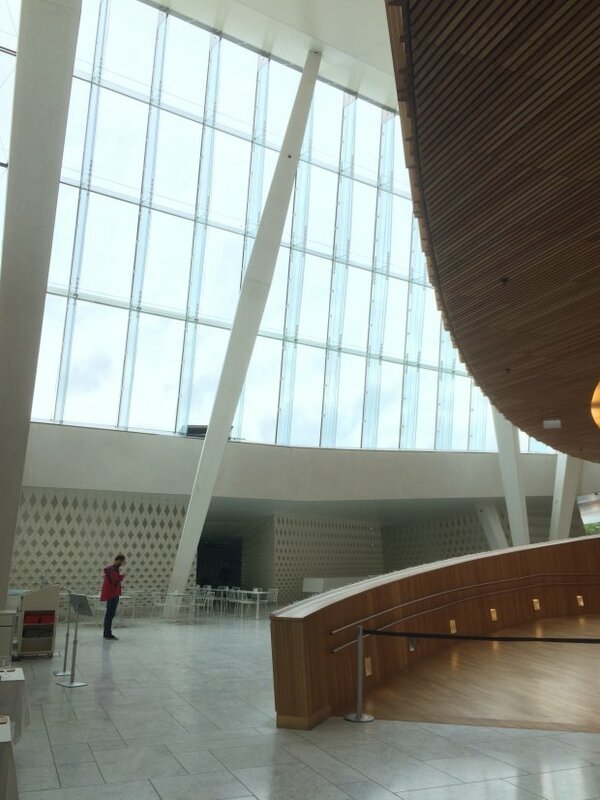 The low sloping roof made up of 36,000 pieces of Carrara marble from Italy is like a public park on which people walk across at all hours of the day and night, and the fact the building is open by day means visitors and the curious can amble around the oak-paneled interior which also becomes a public space in which there is a restaurant, cafe and shop alongside the usual booking offices and so on. 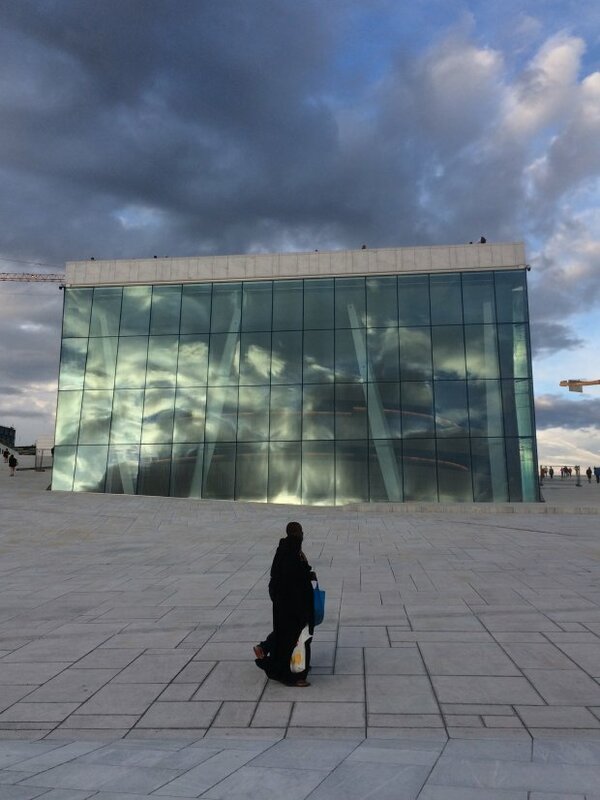 The opera house is public domain and further proof that culture can be a magnet as well as a driver of tourism and development. 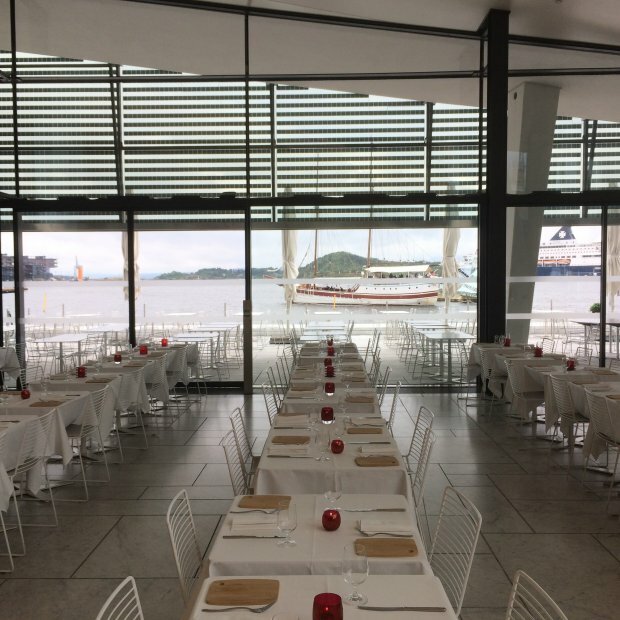 It is no coincidence that Barcode has grown up behind the opera house or that buildings in the nearby old town are now undergoing renovation and restoration. 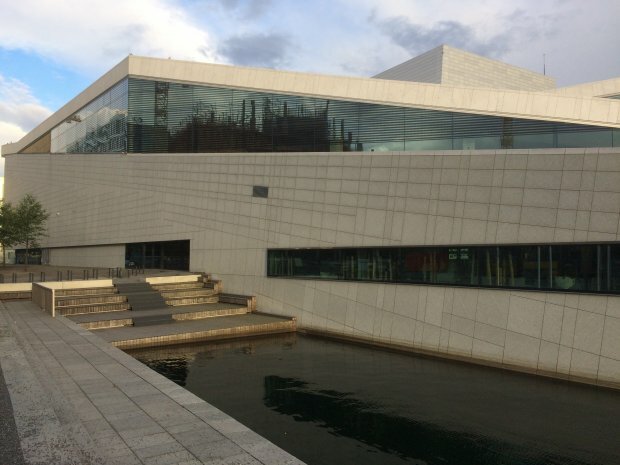 The architectural competition of 2000 to develop an opera/ballet house on the site drew 240 entries but was won by the local architects Snohetta whose vision was of a seemingly low lying link between the sea and the city, one which would be a landmark development and art object in its own right. 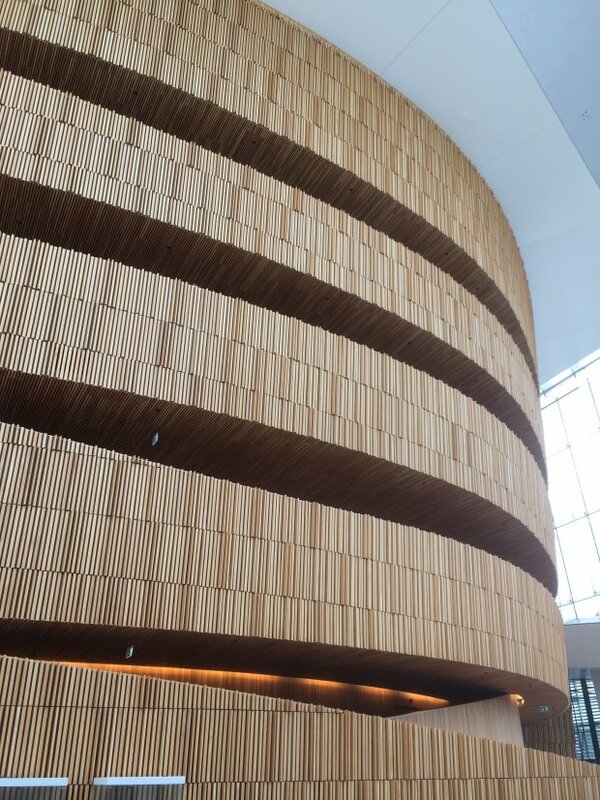 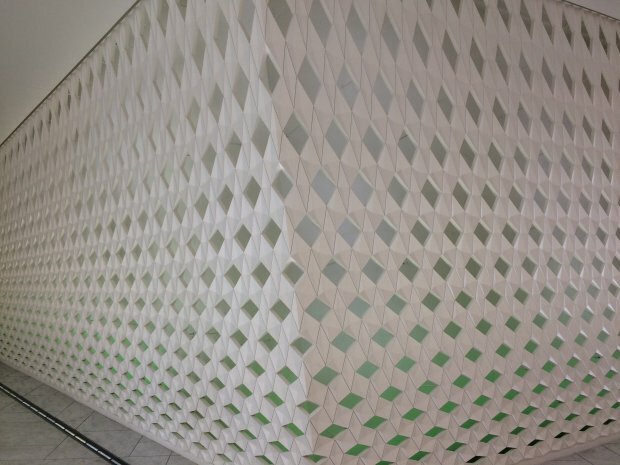 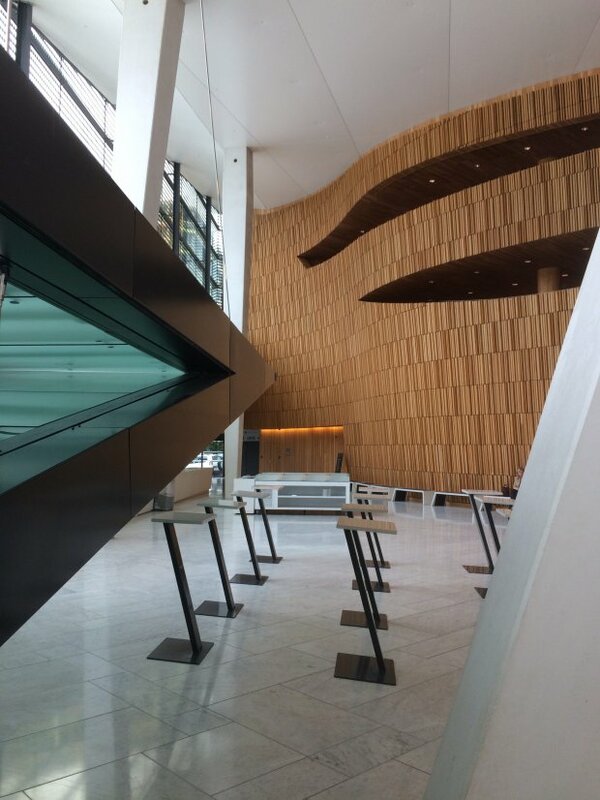 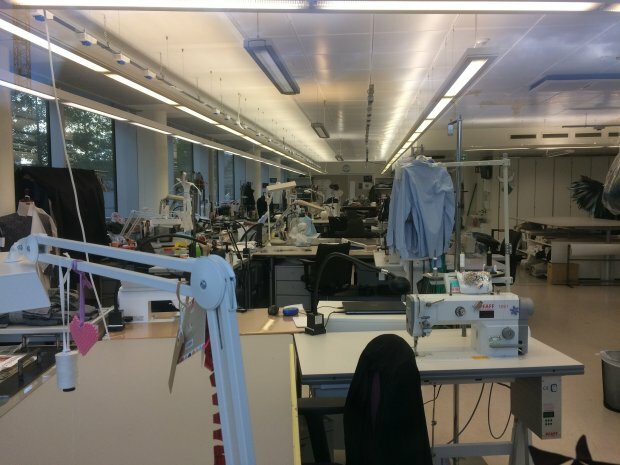 The building opened in April 2008 when people could at last appreciate the scale of the The Carpet (the roof landscape), The Wave Wall (of oak, in the foyer) and The Factory which is the enormous area behind the stages where the workshops, offices, design teams and researchers are located. 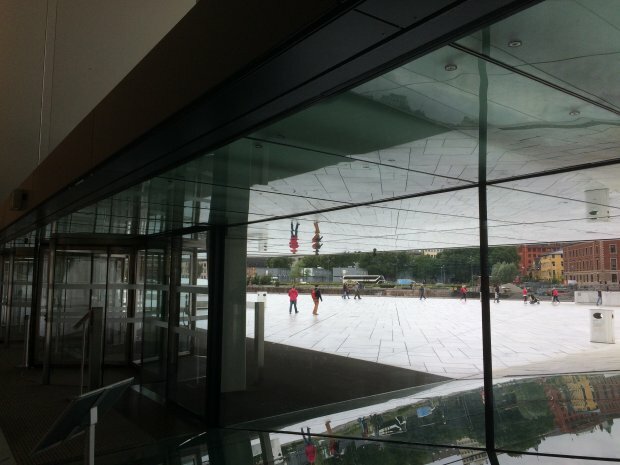 Interestingly many of these "private" areas are visible through the windows along the side of the opera house, so passers-by can watch set designers, costume-makers and others at work. 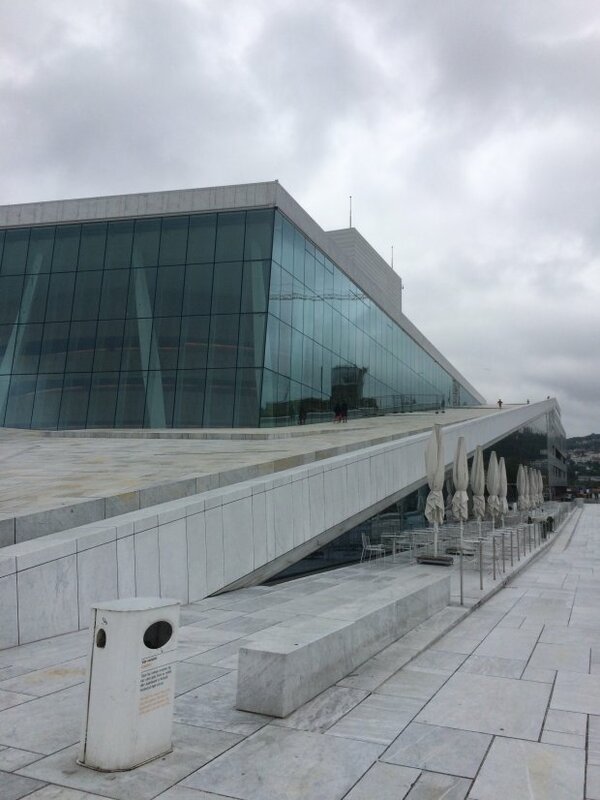 By day and night, the opera house's white marble and aluminium-sheathed fly tower catch the changing light, reflect the colours of the sky and make for a magisterial link between art, architecture, land, sea and sky. 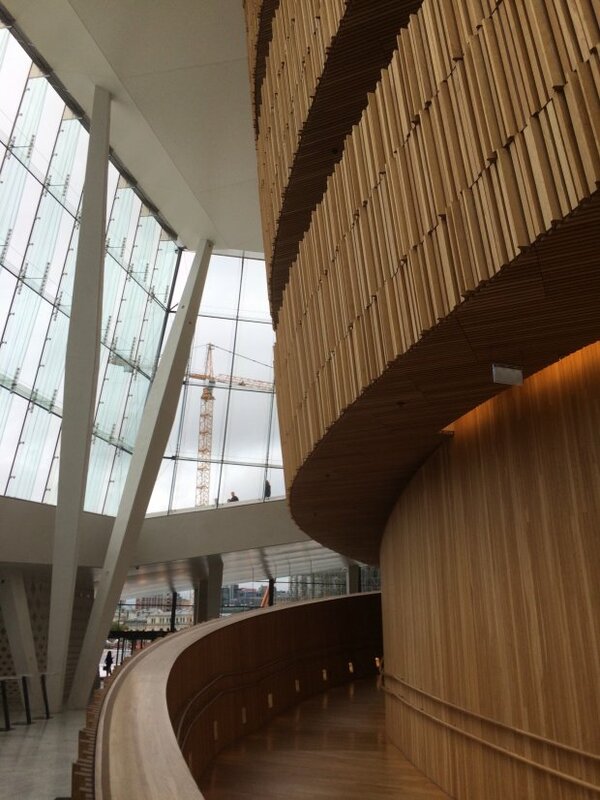 Below are a series of photographs of the exterior and interior of this remarkable building which has re-invigorated Norwegian design and become an icon in the architectural and emotional landscape.